When your everyday tools and procedures are already part of your readiness plan, you’ll have more control when you need it most. 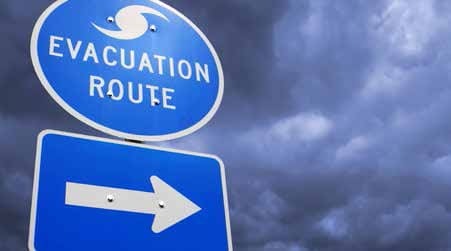 Here are three tips to enhance your day-to-day operations and greatly improve your ability to take charge during a disaster and throughout the recovery period. INCREASE YOUR ABILITY TO REACH YOUR RESIDENTS AND STAFF WHEN COMMUNICATION PATHWAYS ARE DOWN. Use a reliable message notification service like One Call Now. Create one message, one time and send it at once to multiple numbers per contact: land lines, mobile devices, email, websites and social media sites. – Automated features give you added control without adding cumbersome extra steps: auto-mated translations (52 different languages) keypad responses, personalized messages, presched-uled messages, and detailed reports that document your contact. COMMIT TO REGULAR AND FREQUENT COMMUNICATIONS WITH YOUR RESIDENTS. This day-to-day practice familiarizes residents with your communication methods and becomes a huge advantage for you and for them during a disaster and the recovery period. Use an affordable cloud-based service like One Call Now that makes it easy to communicate anytime from anywhere. Set up go-to sites on social media and let your residents know about them. Send short, direct messages to keep residents updated. Keep them simple, but provide specific details. PROTECT YOUR RECORDS AND YOUR DATA. Subscribe to a cloud-based data backup service. Rethink what types of hardcopies you need to keep in your office. It’s your responsibility to protect sensitive information. When disaster strikes, you’re no longer in familiar territory. This is a time when you must think and act fast. It’s not the time to try something new. You have the most control in the preparation phase of a disaster or emergency. Make the most of your day-to-day procedures so that you’ll strengthen your advantage in the phases where you have the least control: the duration and the recovery. Nick Frantz is the National Sales Manager, Property Management Solutions with One Call Now.